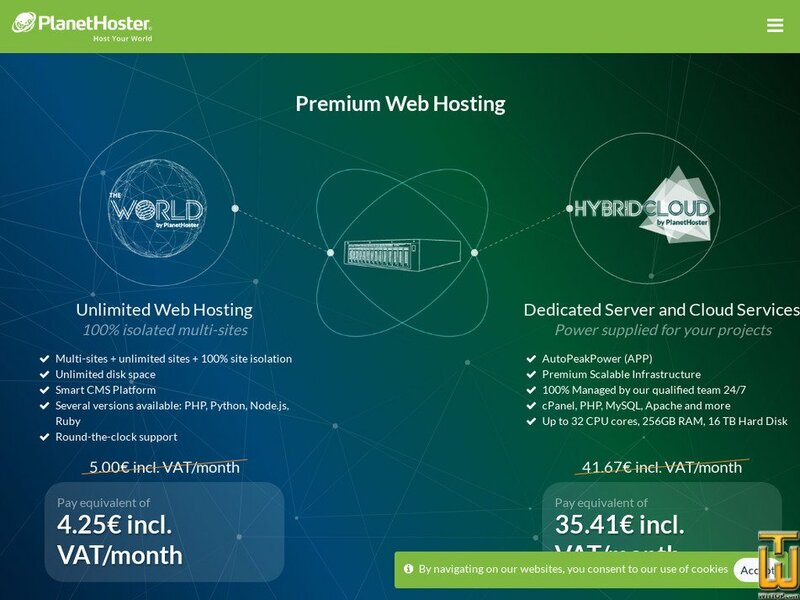 A PlanetHoster reseller plan is for launching your own web hosting company. You will be surprised by how easy and profitable it is, and you'll be pleased by the low overhead costs. You'll be provided all the tools and support necessary for success. Our servers use the latest version of cPanel, giving you full control over your website. For example: create subdomains, manage email accounts, manage access for other users and much more. At PlanetHoster, support is a top priority. That is why we guarantee you 24/7 Support through Emails and Tickets. An easy-to-use script which lets you install your blog, forum or gallery with a single click without necessarily having any web installation experience. Choose whether to be hosted in France (Paris) or in Canada (Montreal). Our infrastructure is A+ in both locations. You are assured 99.9%+ uptime whatever you choose! You no longer need to wait 24 hours for your web hosting package to be active. Once you fill out the order form, you'll automatically receive your hosting details right away. This way, you can get started as soon as possible. LiteSpeed is up to 9 times faster than Apache web hosting, processes PHP 50% faster, is 3 times faster than SSL Apache Hosting, and much more! LiteSpeed hosting fully supports .htaccess, mod_rewrite, and everything else that Apache is well known for.